The state of Missouri has just one health clinic that provides abortions as of Wednesday, following new state requirements. In this 2017 photo, Planned Parenthood supporters and opponents protest and counterprotest in St. Louis. In 2008, Missouri had five abortion clinics, according to Planned Parenthood. The Columbia Health Center in central Missouri on Wednesday became the latest to stop providing abortions. Under the new requirements, abortion providers must secure admitting privileges at hospitals located within about 15 minutes from their health centers. "The idea behind that restriction is that it somehow makes patients safer if they experience complications from the abortion," Planned Parenthood Great Plains spokeswoman Emily Miller tells NPR. "But in reality, abortion is already incredibly safe, and a patient's ability to access help at the hospital is the same, whether or not the provider has admitting privileges." Miller says that Columbia Health Center's physician had her privileges revoked in 2015 by University Hospital and has been denied privileges by the other surrounding hospitals. "They won't offer her admitting privileges because she's an abortion provider," Miller says. NPR requested comments from two nearby hospitals that did not immediately respond. 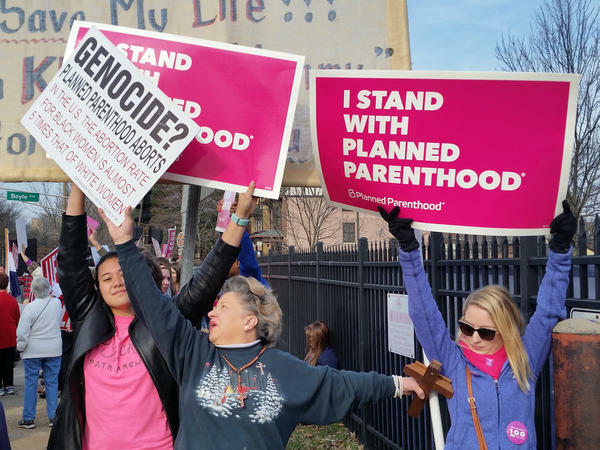 Only Planned Parenthood's St. Louis clinic currently provides abortions. "For some patients, that means they may face up to 400 miles round-trip to seek abortion services," Miller says. "We're helping them understand what their options are, whether to pursue care in St. Louis or cross state lines." In 2016, the U.S. Supreme Court ruled that similar restrictions imposed in Texas were medically unnecessary. Planned Parenthood filed a lawsuit against Missouri's requirements in November 2016 and a legal battle has ensued. A federal appeals court ruled in September that Missouri could enforce state laws. The judges issued a mandate for the requirements to take effect Monday. Missouri is not the only state where a single facility provides abortions to women. Other states include Wyoming, North Dakota, South Dakota and Mississippi, according to a 2014 report by the Guttmacher Institute. Nor is 2018 the first time that Missouri fell into this category. Columbia Health Center remains open and still provides other health care services. Staff is waiting for the state to renew the clinic's one-year abortion license, which expired Tuesday. According to a court document, economics professor Jason M. Lindo argued that if the clinic stopped providing abortions in Missouri, "we should expect to see at least a 22% annual reduction in abortions among women currently served by that facility." Meanwhile Mary Kogut, the president and CEO of the branch that oversees Missouri's only abortion clinic, will step down later this month, after more than 38 years with Planned Parenthood. Attorneys representing the organization are seeking to block the state's requirements in federal district court. "We are hopeful that the Court will rule promptly, because women will be impacted immediately — and their constitutional rights ultimately violated," Dr. Brandon J. Hill, president and CEO of Comprehensive Health of Planned Parenthood Great Plains, said in a statement. Samuel Lee, a lobbyist who has spent years campaigning for abortion restrictions in Missouri, said he thinks "when the district court looks at it again, they will uphold the law because it protects the health and safety of women who are seeking abortions in Missouri without imposing an undue burden on them," according to The Kansas City Star. Planned Parenthood said Wednesday that 20 states are "poised to ban abortion" if Kavanaugh is confirmed to the Supreme Court — and that 13 abortion cases are "one step away" from the country's highest court.